Can we talk about justification? 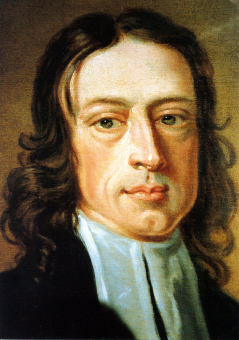 In “The Principles of a Methodist” John Wesley wrote about justification by faith. I believe three things must go together for our justification: Upon God’s part, his great mercy and grace; upon Christ’s part, the satisfaction of God’s justice, by the offering his body and shedding his blood; and upon our part, true and living faith in the merits of Jesus Christ. There is a lot packed into this short summary. Here are few things that I observe. First, we just don’t talk about justification much in the church today. For Wesley it was one of the central doctrines that motivated everything he did. We have some words that play in the same ballpark as “justification” — saved, born again, redeemed — but none really captures the sense of the word as Wesley understood it and our doctrinal standards discuss it. Justification is simply the concept that we are out of line with God and we need to be brought into alignment. We are guilty before God and need to be pardoned. We cannot pay off the debt of our guilt. We can only be forgiven. This is justification, God’s gracious and merciful pardon of sinners, of us. Perhaps you can pick up why we don’t talk about this much in the church these days. We don’t like to talk about sin. In the church, we like to talk about problems and issues. How do I cope with life when it is hard? How do I strengthen my marriage? How do I overcome anxiety? But we don’t like to talk about sin. And if we don’t know ourselves to be sinners, then we can’t have any interest in what is required for us to be justified. I notice as well in reflecting on this short passage the emphasis on Jesus’ death as satisfaction required by God’s justice. What does that mean? It means that sin — our sin and that of the world — demands a payment. God’s justice requires that the debt and guilt piled up by our sin be paid off. We can be forgiven but balance must be restored. By his death, Jesus Christ reset the scales. He paid the price that should have been ours to pay and that we could never pay. This is part of why we say above that the mercy of the Father is necessary for our justification. What could have been required of us was not. In the words of the song, Jesus paid it all. While it is true that the Christian church has never come down to a single understanding of the meaning of Christ’s death on the cross — what the theologians call atonement theory — it is undeniable that the people called Methodist preached from the very beginning of the necessity and power of Christ’s satisfaction. And finally, I notice in reading Wesley’s words the necessity for not just faith, but a living faith that Jesus Christ has in fact won my pardon by the satisfaction he made on the cross. We are called to put our whole trust for peace in this world and glory in the next not in our own goodness, our own efforts, or our own observance of religious duties, but totally and solely in Jesus Christ. If we have this faith, it will be as plain to see as it is to observe signs of life in any living thing. A living faith grows and bears fruit. It is a source of activity and energy in the life the Christian. It multiplies and reproduces. I depends on the Holy Spirit for its life just as we depend on air for ours. This is the living faith that Wesley preached and handed down to the Methodists after him. On each of these three points, I believe the United Methodist Church today has much to learn. I know I do.